Tony Romo led the Cowboys on a 21-point comeback -- which matched the biggest in franchise history -- in Week 3 against the Rams to nab the GMC Never Say Never Moment award. Who else came close? Seahawks withstand Broncos' incredible rally: The Seattle Seahawks saw a 17-3 fourth-quarter lead evaporate behind a heroic performance by quarterback Peyton Manning and the Denver Broncos, then kept the prolific passer on the sidelines in overtime to preserve a hard-fought 26-20 win. Manning guided the Broncos to the tying points after getting the ball back down eight with just 41 seconds remaining. Manning connected with tight end Jacob Tamme for a touchdown with 18 seconds left, and then receiver Demaryius Thomas for a two-point conversion to tie the game up at 20-20 at the end of regulation. But Seattle got the ball to start the extra period, and quarterback Russell Wilson crafted the decisive drive. 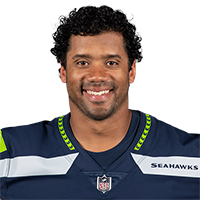 Wilson twice scrambled on third downs to extend the drive, and a 7-yard pass to receiver Percy Harvin set up the game-winning touchdown for running back Marshawn Lynch. Cowboys match franchise's best comeback: The Dallas Cowboys erased a 21-0 deficit to defeat the St. Louis Rams, 34-31. The 21-point comeback matched the biggest in franchise history (1984 against the New Orleans Saints, 1999 against the Washington Redskins), but those previous comeback wins came in overtime. Quarterback Tony Romo had two touchdown passes in the win, including a 68-yarder to wide receiver Dez Bryant that trimmed the Rams' lead to 21-17 right after halftime. A touchdown pass to wide receiver Terrance Williams put the Cowboys ahead in the fourth quarter and a pick-six for linebacker Bruce Carter gave Dallas the edge it needed to topple the Rams. Romo now has 21 comeback victories in the fourth quarter or overtime, which is a franchise best. Eagles overcome another 10-plus point deficit: The Philadelphia Eagles made history in their thrilling 37-34 win over the Washington Redskins. The Eagles became the first NFL team to start a season 3-0 after trailing by 10-plus point deficit in each game. The Eagles fell behind 17-7 in the second quarter, but quarterback Nick Foles responded with three touchdown passes, including two to rookie receiver Jordan Matthews. 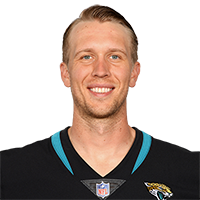 Foles' third touchdown pass -- a 27-yard score to receiver Jeremy Maclin -- came two plays after being blindsided by a Redskins defender.